Now is the time for leaders across the globe to join voices and achieve meaningful change for youth with mental illness. The Global Coalition on Youth Mental Health is an initiative that aims to amplify the many voices on youth mental health worldwide. We are engaging with leading mental health organizations, communities, and individuals to galvanize awareness, collaboration, and action. According to the World Health Organization, one-in-five adolescents globally may experience a mental health problem each year. The effects are often devastating, as these conditions impact youth at a critical point in their lives. The challenge is immense, but so is the potential of the organizations and advocates already active on this issue. A wealth of knowledge and voices exist in youth mental health, creating an opportunity to amplify collaboration and progress. We believe that now is the time for leaders across the globe to join their voices and achieve meaningful change for youth with mental illness. This is the founding mission of the Global Coalition on Youth Mental Health, and we ask all organizations to join us. Galvanize organizations currently serving young people in countries around the world and amplify the reach of their work. Catalyze a global conversation to reduce stigma and improve access to mental health resources and support. 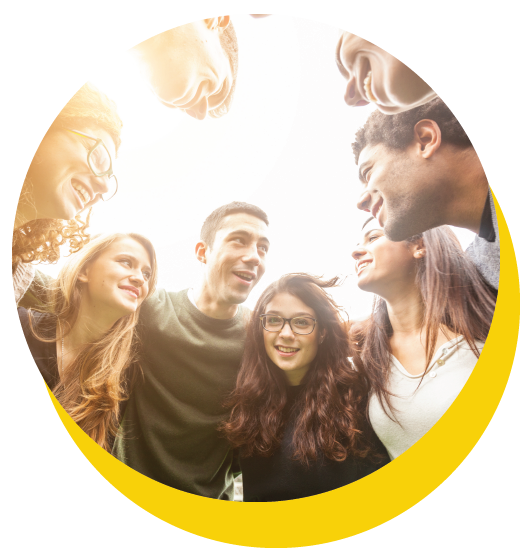 Inspire countries worldwide to prioritize youth mental health by joining the Coalition, sharing their resources, and promoting youth mental health with a unified message. The Coalition’s initial focus will be monthly social media messages and calls to action that build towards our shared goals. If youth mental health organizations and advocates share these messages with their networks, we will create a unified, global message of urgency and support for those affected. To achieve this unified message, we ask our partners and other organizations to use #195forMentalHealth. If we all use this hashtag when communicating about our work, we will show the world that we are one community working to support youth mental health. The Coalition was founded on the belief that collaboration is a key strategy to advance a major public health agenda. The Coalition’s Advisory Committee features leading organizations in the mental health arena including Jack.org, University of Toronto, iFred, and batyr. The Global Coalition on Youth Mental Health was made possible through an initial sponsorship by the Johnson & Johnson Family of Companies. Activities of the Coalition are guided by members of the Advisory Committee. We invite members of the mental health community to join our efforts by signing on to the Coalition and committing to sharing the messages of the Coalition and its partners on social media throughout the year. Benefits of membership include the opportunity to engage with international advocacy organizations, amplify your organization's messaging, and stay informed about advocacy opportunities. Your organization will also be featured in our quarterly newsletter and included in our official member list. Click here for a full list of our Coalition Members.